Location in Finistère - Bretagne : : Single-storey house with separate entrance on the former owner's farm. It has been newly renovated and redecorated. Living room with fireplace and kitchen area, shower room, WC, Bedroom1: double bed, Bedroom2: twin beds. Electric heating. Enclosed garden, patio, garden furniture, barbecue. Shed. Wi-Fi. 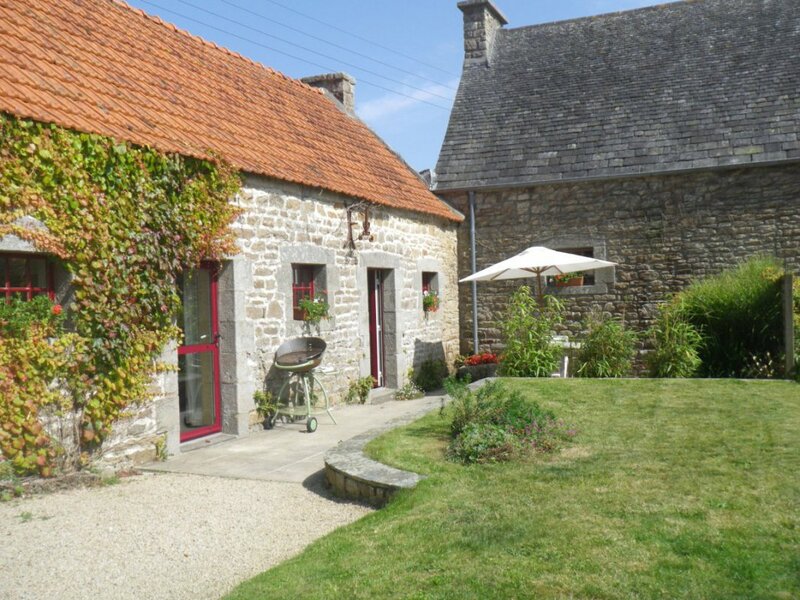 This comfortable gite is situated 5 km from the delightful seaside resort Roscoff. Guests can enjoy the peace and quiet of the countryside and various seaside activities, as well as visiting local places of interest. The house is located half way between the Abers region and the bay of Morlaix. In Roscoff the guests will enjoy walking on the harbour or in the many lanes or will take a boat trip to the Batz island. St Pol de Leon is a beautiful town with old houses in the vegetable growing area (cauliflowers and artichokes). A visit to Carantec with the Callot island and the Chateau du Taureau is a must. The dunes in Treflez are of outstanding beauty. The seaside offers many activities and the architectural heritage is rich too : parish enclosures in St Thegonnec, Sizun, Lampaul, chateaux in St Vougay and Maille. Sea, countryside, culture : all you need for an enjoyable holiday.